In the week that he celebrated his 60th birthday, we look back at a race where Bernard Hinault took one of his biggest one-day wins – the 1981 Paris-Roubaix. 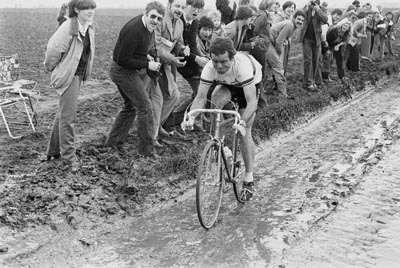 In his first attempt at the Hell of the North the previous year, Hinault had finished in fourth place, over six minutes behind the winner Francesco Moser, who won his third Paris-Roubaix. Later that year, Hinault won the World Championships, meaning he would start the 1981 Paris-Roubaix in the rainbow jersey. 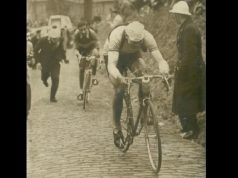 It rained that day which would result in an extremely difficult day on the cobbles. In fact, Hinault fell seven times. At one stage, he had to run through a field to avoid a motorbike which had crashed in front of him. With 13 kilometres remaining, a small black dog (called Gruson) ran out in front of Hinault taking him down again. The Badger remounted and enraged, set off in pursuit of the small lead group he had been part of. 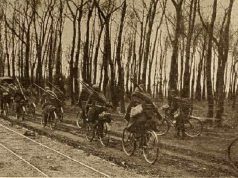 Coming into the velodrome at Roubaix, the race was between a group containing some really strong riders. 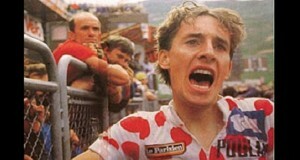 Apart from Hinault, there were three previous winners, Moser, Roger de Vlaeminck and Marc Demeyer. Guido van Calster and Hennie Kuiper were also there. With over a lap of the track remaining, Hinault started winding up his big gear. Demeyer did go past the Breton for a few seconds before Hinault retook the lead. Coming out of the last bend, it looked like de Vlaeminck might come around him, but Hinault held on. He only did the race one more time, as defending champion in 1982. 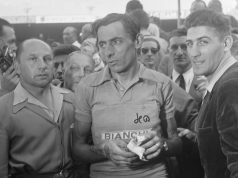 He would be criticised by some afterwards for not entering Paris-Roubaix again, but responded at one stage saying, “I don’t go into offices and tell people to work harder, yet people ask me to be the strongest on the cobbles. Previous articleCycling Ireland awards night – and the winners were….